This place is very special to the couple celebrating their Diamond Wedding Anniversary. 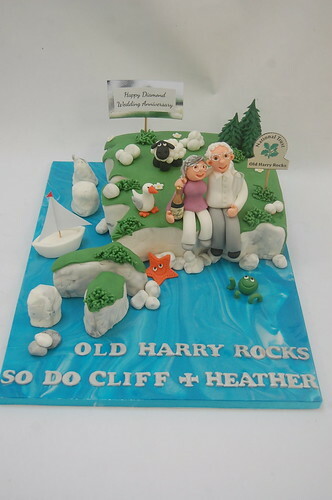 The Old Harry Rocks Cake – from £90. A very special cake for a very special occasion, celebrating the couple’s love of gardening, croquet and walking. 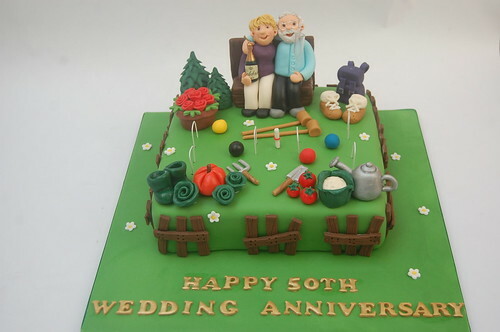 The Croquet and Gardening Cake – from £90. Special Commission for the Museum of Work in Bath. Who’d have guessed 3 blocks of stone could be so delicious! 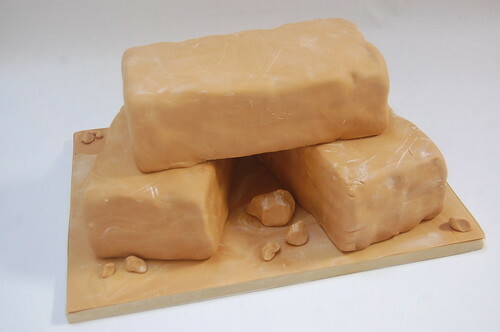 The Bath Stone Cake – from £90. 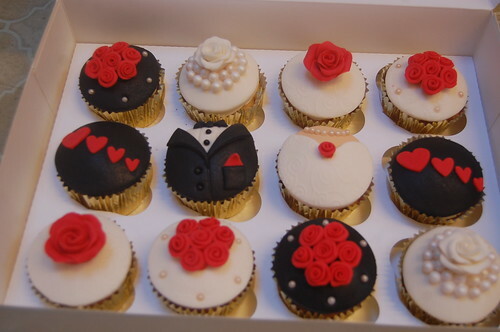 We always love a wedding! And especially when the cake is such a stunner! 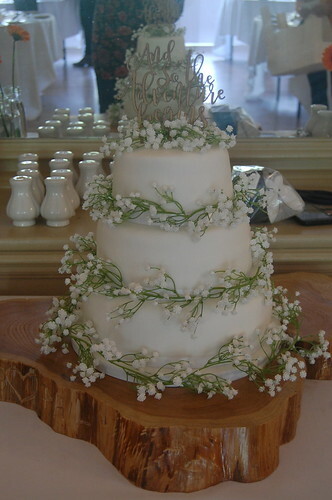 The Gypsophila Wedding Cake – from £200. 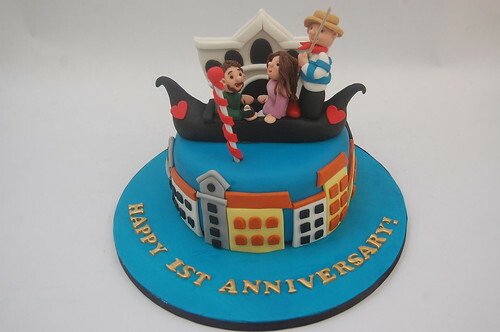 Ironically, the first request we have had for a Glastonbury Cake came in a year it wasn’t on! Lots of things to look at on this incredibly colourful and detailed cake! 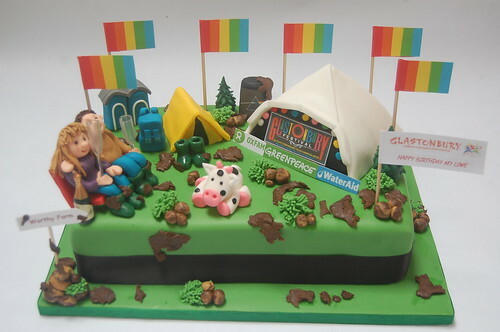 The Glastonbury Cake – from £100. A bright and amusing 80th cake which picks up the colour of the South African Flag. Specially designed for a very special lady with South African roots who loves the beach, playing ukulele and her rusty red car! 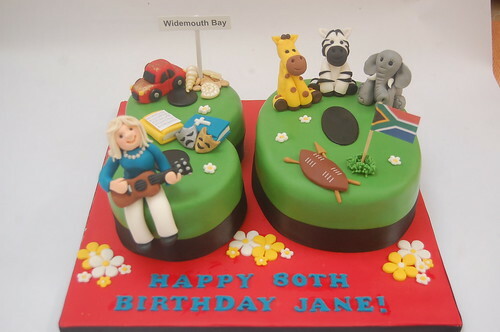 South African 80th Cake – from £100. 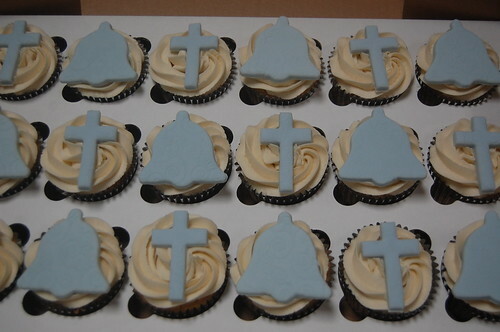 Quite simply one of the most gorgeous Christening Cakes we have ever created! 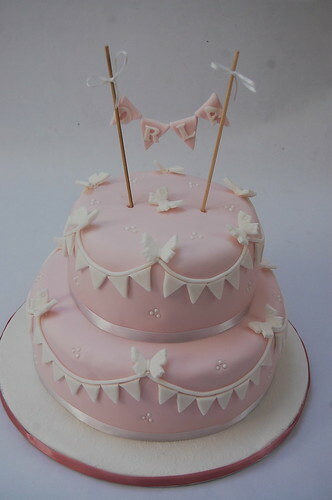 The Bunting and Butterfly Christening Cake – from £100.